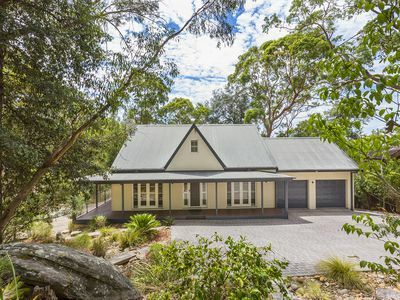 Set on a generous 1,678m2 (approx.) 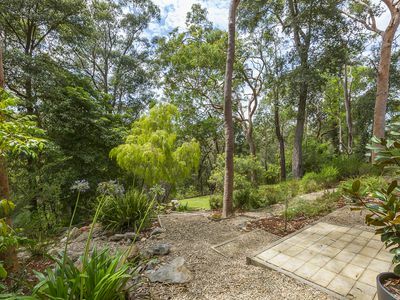 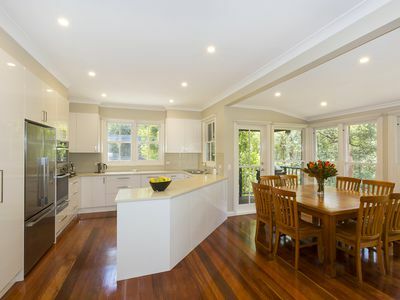 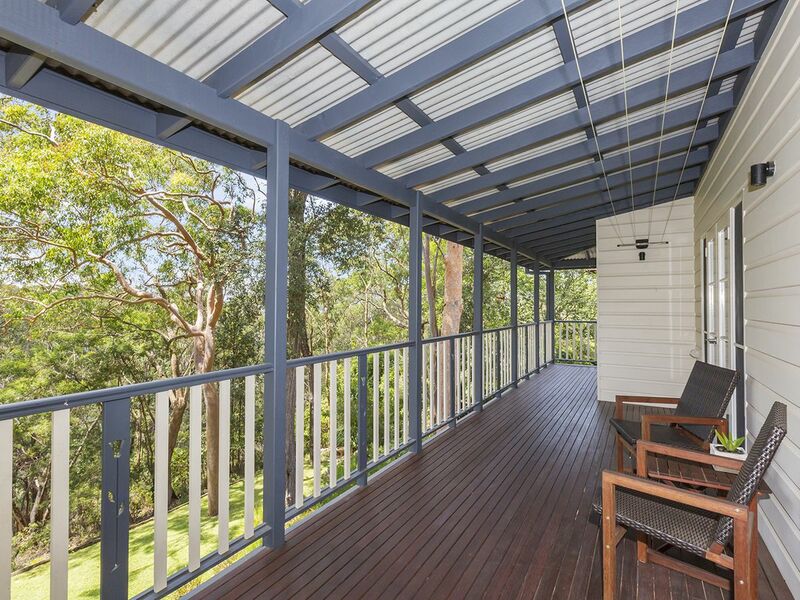 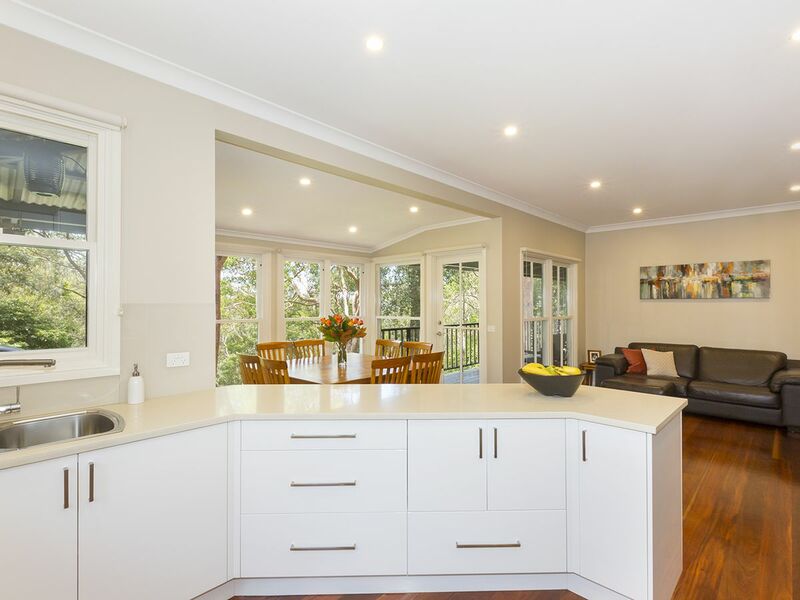 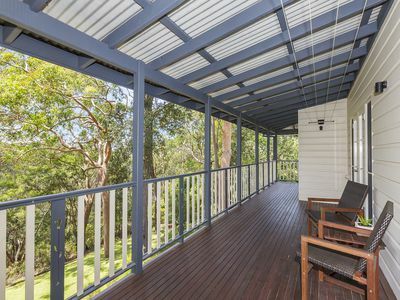 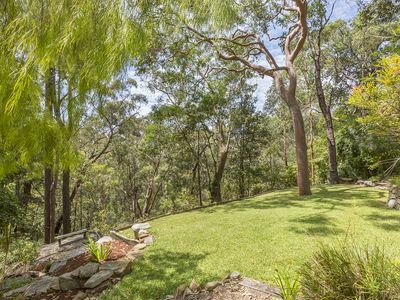 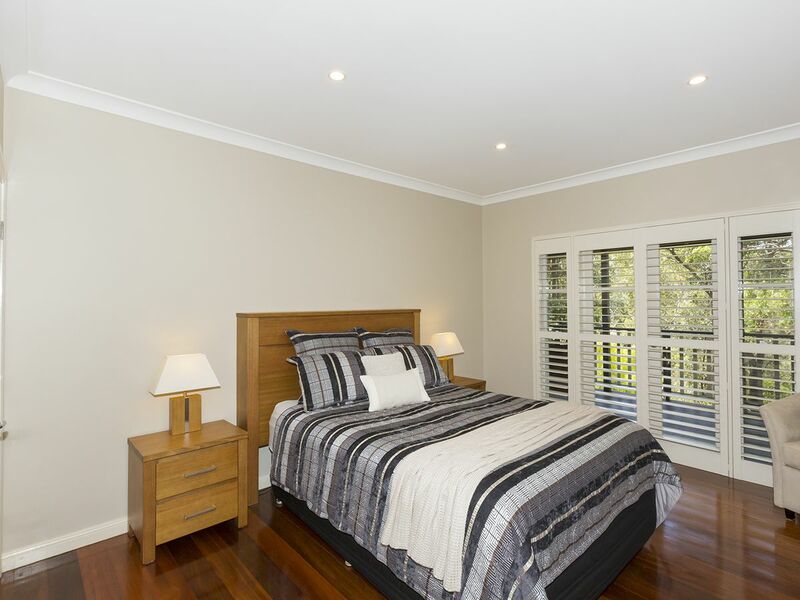 block blending impeccably maintained native gardens and a lush level lawn surrounded by stunning bushland, this diligently cared for home has been completely renovated over the past nine years to create a modern and sophisticated yet welcoming property. 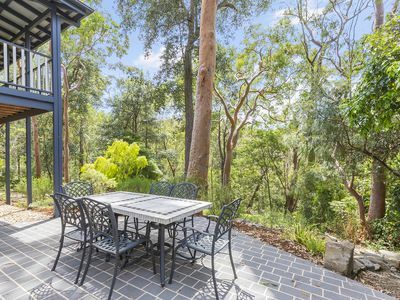 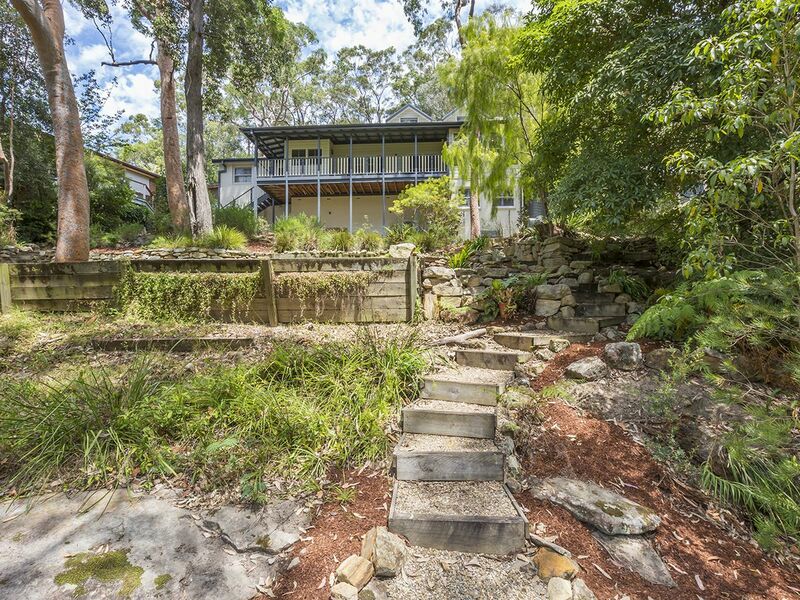 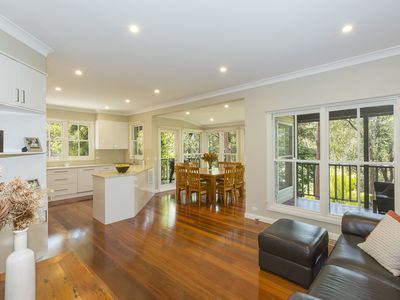 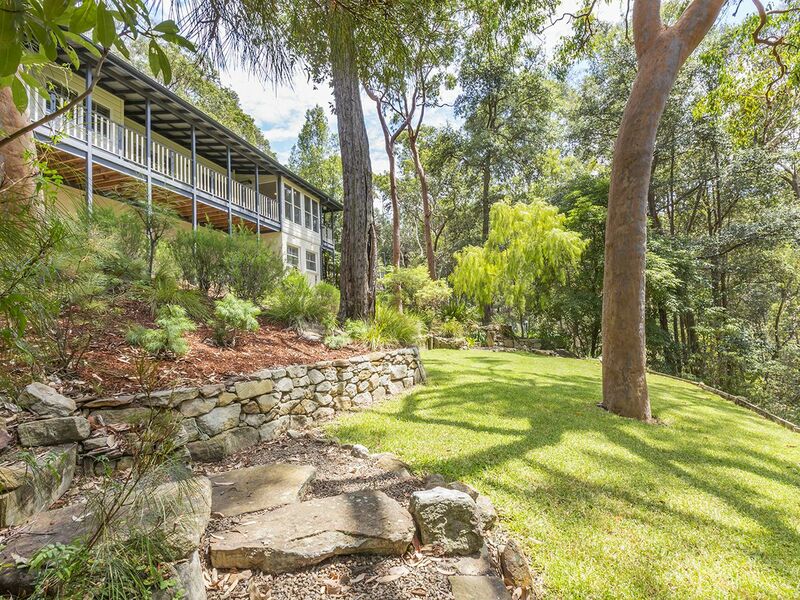 Every detail of this home has been meticulously thought out to create true ease of living; with a quiet position on a no through road that remains convenient to the train station, service station, bush walking tracks, and parks. 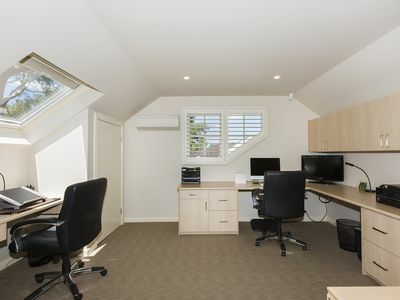 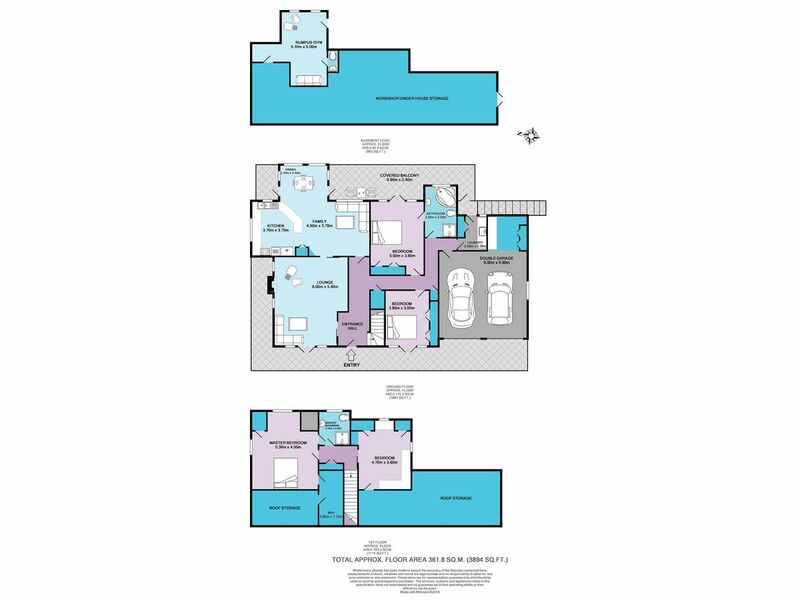 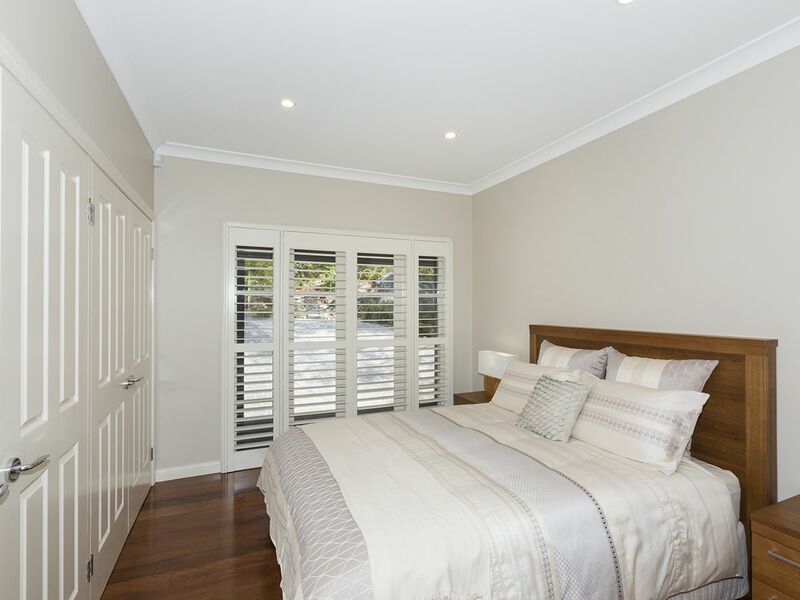 The home features four large bedrooms all with air conditioning and fitted out built-in wardrobes, including the master bedroom which offers an oversized walk-in wardrobe. 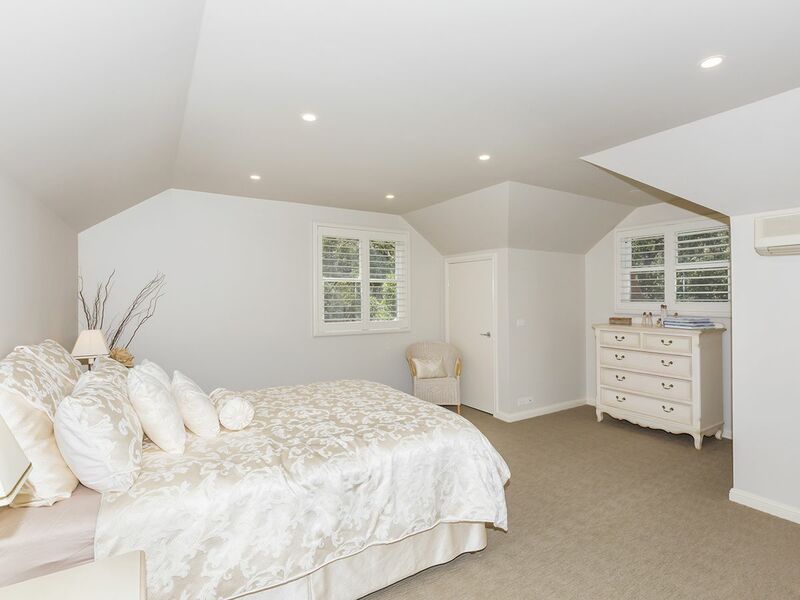 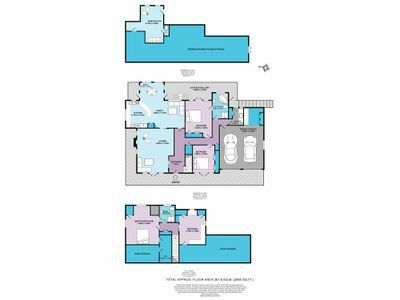 Two of the bedrooms also contain direct access into one of the bathrooms for an en-suite feel. 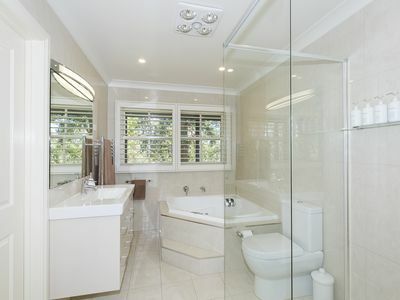 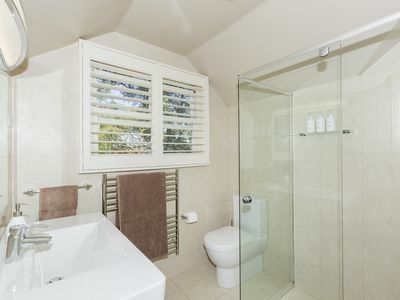 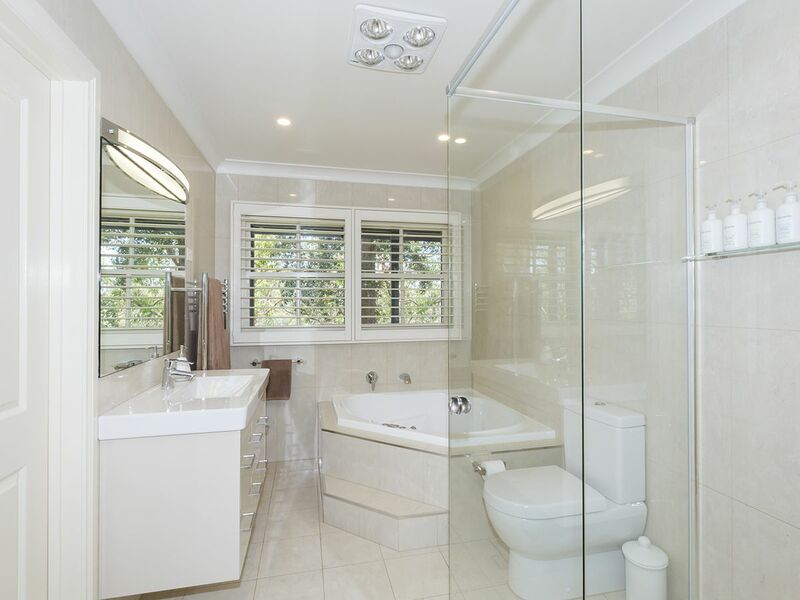 These striking bathrooms both offer quality Villeroy & Boch, and Grohe bathware as well as heated towel racks, with the main bathroom also containing floor to ceiling tiles as well as a luxurious Decina spa bath. 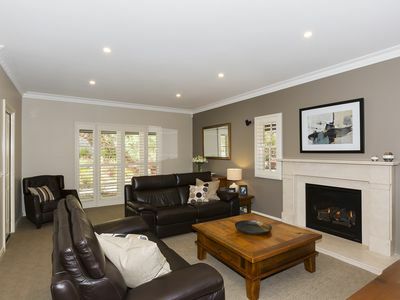 There are three living areas including a lounge with Jetmaster gas log fireplace with marble mantelpiece and Bose sound system, and a basement level rumpus with toilet; currently set up as a home gym, but with many other options for use such as a studio, home office, games room, or teenage retreat. The family area is set in an open plan with the kitchen and dining area, flowing out to the covered rear balcony which capitalises on that picturesque bush outlook. One of several key features of this home is the kitchen; offering Miele stainless steel appliances including a conventional oven, steam oven, warming tray, cooktop, exhaust fan, and integrated dishwasher, plus soft-close polyurethane cabinetry including a fitted out pantry, 40mm Caesarstone benchtops, glass splashbacks, and a concealed flip-down TV/DVD player. 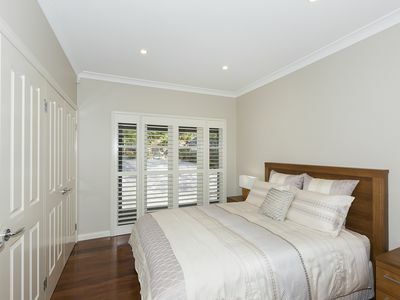 A home of this exceptional standard also offers extensive additional features to note, including: ducted reverse cycle air conditioning; hardwood timber floors and quality carpeting; Bosch security system; plantation shutters; substantial storage space including internal storage, plus roof and under house storage; laundry with caesarstone benchtops, fold out ironing board, and built-in pull-out clothes drawer; oversized double garage with internal access, new motors on doors, and storage room/workshop at rear; plenty of off street parking; 4,000L rainwater tank. Please contact Lister & Cole Estate Agents for further details on this impeccable property which offers a true ease of living.